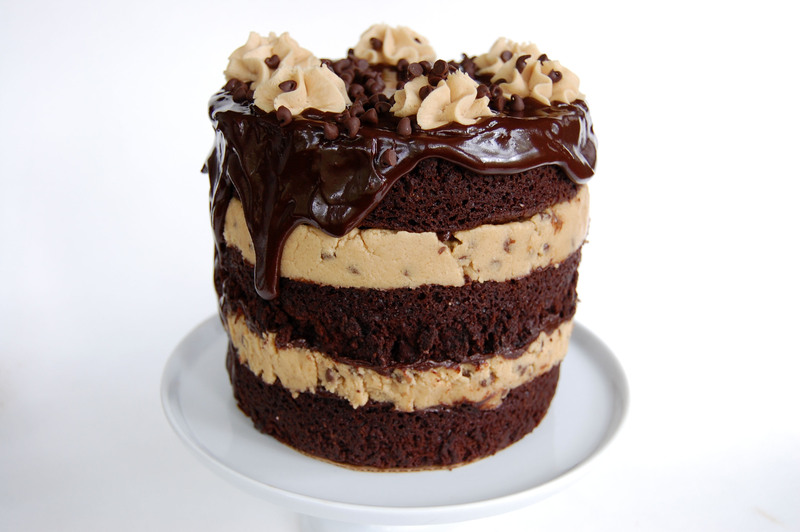 this is more a Neat Stack Of Diabetes than it is a cake. rounds of peanut butter cookie dough get spread with chocolate ganache and squashed between brick-like layers of brownie, then doused in more ganache and frosted with rosettes of whipped peanut butter buttercream. butterbutterbutterbutterbutter. i’m not sure what the best occasion for this cake is? it seems too rich for a birthday and too menacing to appear at a wedding. maybe make it for a friend who just went through a breakup. or for your 7-year-old son who refuses to eat anything other than chocolate and peanut butter. we all had that phase. preheat the oven to 325º and grease three 6-inch cake pans. mix together the oil, sugar, and vanilla. whisk in the eggs. in a separate bowl, mix together the flour, cocoa, baking powder, and salt. gradually add to the egg mixture and stir until combined. pour evenly between the three pans – i use a scale to ensure that there is the same amount in each one (you’ll have some batter leftover). bake for 20-30 minutes, or until a toothpick inserted comes out almost clean. let cool for 10 minutes in the pans, then remove to a rack to cool completely. for the cookie dough, beat the butter and sugar until lightened and fluffy. mix in the peanut butter and vanilla. add the flour slowly. add cream to preferred thickness, then stir in the chocolate chips. chill in the refrigerator until ready for use. 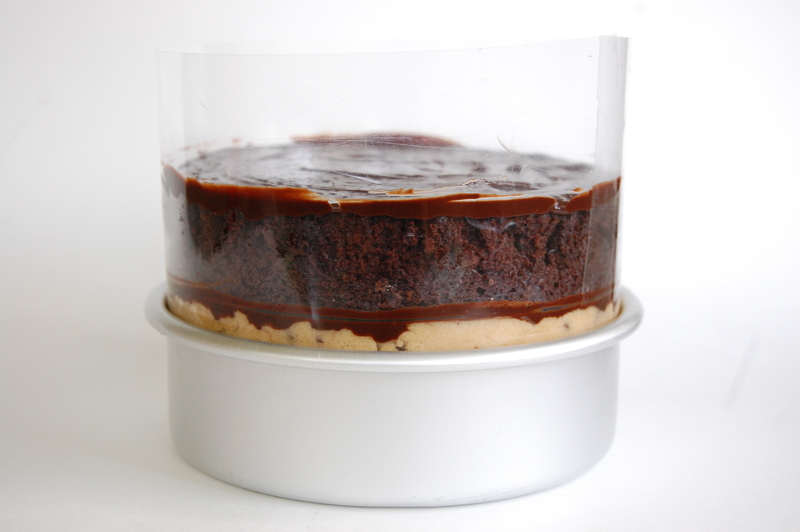 for the ganache, put the chocolate in a large heatproof bowl. heat the heavy cream in the microwave or a saucepan until almost boiling, then pour over the chocolate. let sit for 5 minutes, then whisk until smooth. whisk in the butter. let sit at room temperature until thickened. for the frosting, beat together the butter and peanut butter until smooth. add the remaining ingredients and beat until fluffy and doubled in size. to assemble the cake, i put a cardboard cake round into the bottom of one of the clean pans (you could also use a 6-inch cake ring). i used a tall strip of acetate to line the pan – this makes for clean edges. you could also easily just assemble this like a normal cake. start with a layer of brownie. spread sparingly with ganache. pat some cookie dough into a thick round and place it on top. spread on more ganache. repeat with another brownie, more ganache, cookie dough, ganache, and the last brownie. 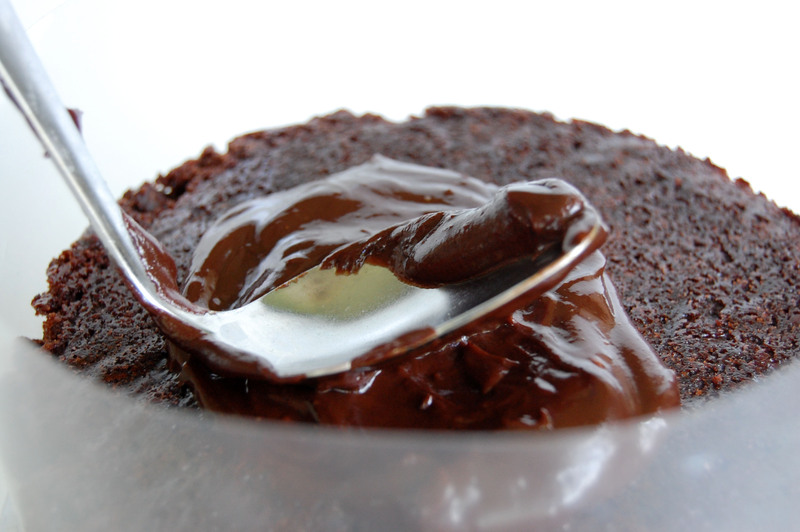 heat up the remaining ganache a few seconds in the microwave, until thin and pourable. pour it in the center of the top brownie, then use an offset spatula to spread it out and let it drip down the sides (mine was a bit too thick – add some heavy cream to yours to thin it out). let the ganache set. you can speed this up by sticking it in the fridge for a few minutes. pipe on rosettes of frosting (i used a closed star tip) and sprinkle with chocolate chips. serve thin slices of this with milk. warning: if you eat a ‘normal-sized’ slice of this, you’ll probably feel sick. it’s suuuuper rich.